ADMET testing machine retrofits and systems help testing labs conducting mechanical testing of materials and products by expanding their test capabilities to meet the ever growing requirements of their clients. These includes tension, compression, flexure, peel/adhesion, fatigue, stress-strain, and shear testing on a variety of products such as plastics and elastomers, metals, composites, foam, adhesives, and medical devices and implants. Whether you want to add a new digital controller to your existing testing machine or buy an entire new system, ADMET can help. For a partial list of ADMET’s test lab customers, click here. ADMET’s product portfolio includes electromechanical and hydraulic testing machines that are able to test everything from thin films to as aerospace composites. Dynamic options are available to test the fatigue properties of metals and other materials. ADMET systems are completed with either the eP2 controller or the MTESTQuattro controller which can be retrofitted to work with different makes and models of material testing machines. Each controller features an extensive set of data analyses that meet ASTM, DIN, ISO, and JIS standards in order to assist test labs increase efficiency by reducing the time of the test and easing the job of the operator. All analyses are offered within the standard package, there is no need to buy additional analysis packages. Demo versions of ADMET software are free of charge; they can be used in an office environment while tests are being performed in the laboratory. Calibration passwords are provided giving you control over who performs calibration and maintenance on your systems. Our Engineers are Standing by to Help! Contact ADMET today to discuss how we can improve your lab's testing processes! The eXpert 1000 series servohydraulic testing machines are ideal for testing metals, composites, medical devices and implants, concrete, webbing, and other materials at very high load capacities without breaking your budget. Each frame employs strain gauge load cells for direct measurement of force. These frames offer exceptional accuracy and precision in a simple low maintenance design. The eXpert 2600 series universal testing machines are available in table top or floor standing configurations from 2 kN to 300 kN. The 2600 series testers tackle the toughest tests with their superior axial alignment, stiffness, and crosshead guidance. A simple yet customizable design allows for lower cost, faster delivery, and years of maintenance free operation. The eXpert 3910, 3930, 5950 and 9900 series table top dynamic testing machines are compact, quiet, and clean electro-dynamic testing systems for determining the durability of materials and components in tension, compression or flexure. All dynamic fatigue testing systems are equipped with the MTESTQuattro high-speed closed-loop controller. Based in Des Plaines, IL, the Gas Technology Institute (GTI) is a leading research, development and training organization serving energy markets by developing technology-based solutions for consumers, industry, and government. The lab used a fifteen year-old, 60,000 lb. Tinius Olsen tensile testing frame. While the mechanics of the frame were working well, the non-computerized system that had been retrofitted to the machine to control the tests and report results was unnecessarily complicated to the point of being impractical. GTI turned to ADMET to bring their machine up to speed. GTI chose ADMET’s MTESTQuattro materials testing system to solve their challenges. The MTESTQuattro system was determined to be cost-effective and efficient to use. Unlike other test systems, MTESTQuattro came with all of the core tests included. An ADMET engineer came to GTI’s facility to demonstrate MTESTQuattro capabilities, install the system, and train GTI’s technicians. The ADMET platform allowed GTI technicians to set up more complex tests and increased the lab’s throughput on routine tests, allowing them to test more pieces in a shorter length of time. Click here to read more about this case study. ADMET’s relationship with testing labs started 25 years ago when the company was exclusively building software and controllers for a large range of electromechanical and servo-hydraulic material testing machines. Testing labs such as Acuren, Twining Labs, APL Testing, Bodycote, and Westmoreland came to ADMET looking to retrofit and upgrade their manually operated universal testing machines to closed loop servo controlled systems with ADMET software and controller packages. Our engineers worked with customers to upgrade machines of different make and models with new accessories, controllers, and indicators that incorporate a wide array of reporting, data acquisition, analysis and control. With minimal cost, upgraded machines now had increased capability and flexibility allowing the operators to work as efficiently as possible. Operators could generate comprehensive test reports through fast and error-free calculations. Moreover, reports can be shared over networks and exported to a shared database if imported. Overall, there was a significant reduction in the testing time. To read more about retrofits, click here. 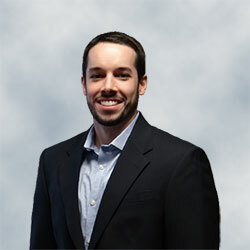 Scott Carroll, sales engineer for a range of quality control testings sectors, has experience in product development, project management, and materials testing. He holds a Bachelor of Science in Mechanical Engineering from Union College. The ADMET story started 25 years ago with testing machine retrofits and software and controller design, making the company a leader in its industry. Since then, ADMET has gone on to manufacture its own testing frames and systems, building on the core strength of its robust software design. In addition to our standard offerings, we will also tailor a custom system to meet your special testing requirements. If you would like to improve your material testing processes, contact ADMET to see how we can help.